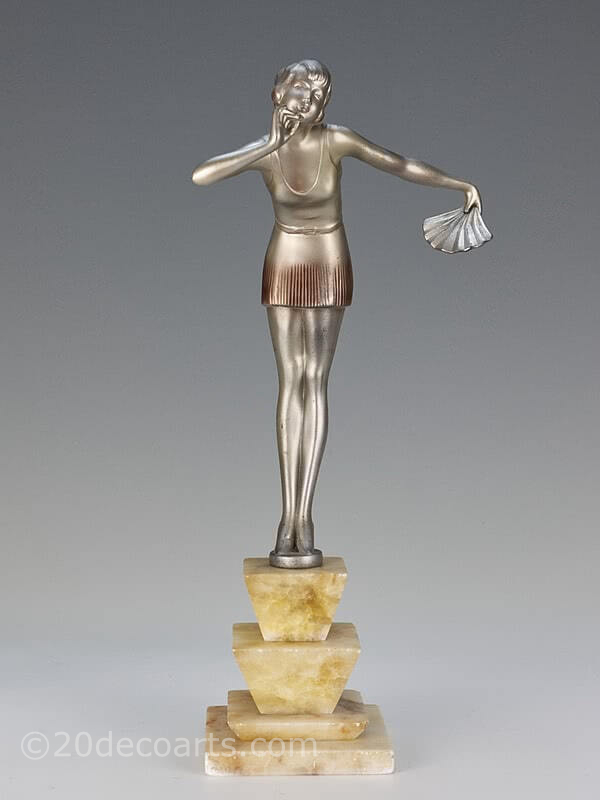 Stefan Dakon - An Art Deco Austrian spelter figure, circa 1930 depicting a young woman holding a fan, with a silver and enamelled cold-painted finish, mounted on a four tier alabaster base. 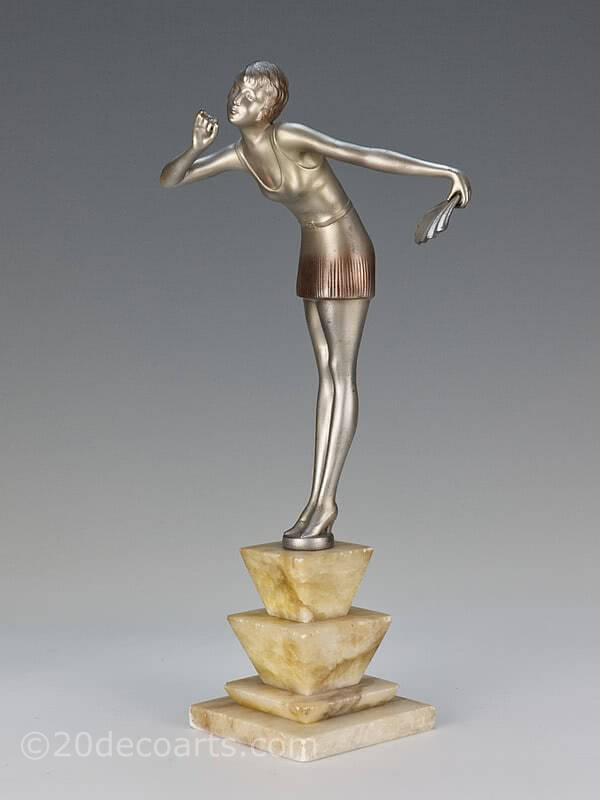 Stefan Dakon designed a variation of this figure for Goldschieder ("Wiener Walzer" model number 6019, designed 1929/30), so although this spelter version is unsigned I have no hesitation with the attribution. 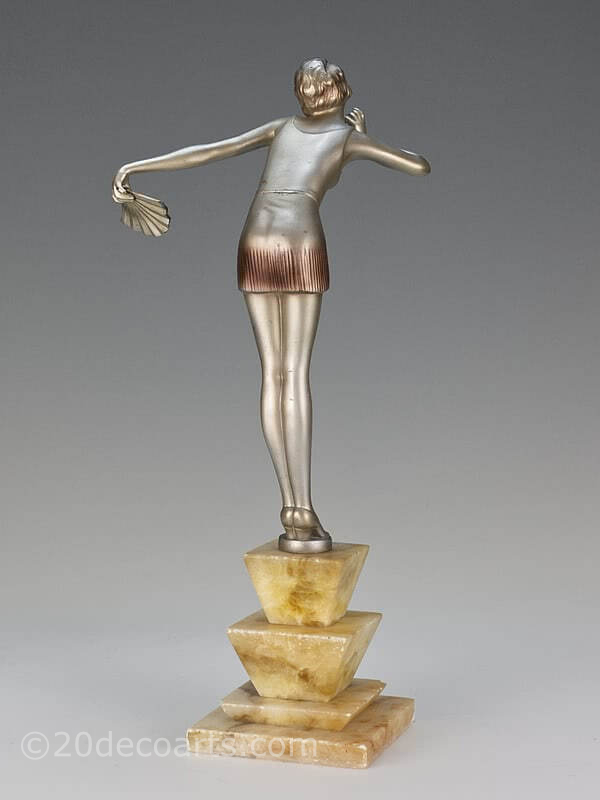 Alongside Josef Lorenzl, Dakon is probably now one of the best known of the Art Deco period designers to work for Goldscheider (working from 1924) sculpting a wide range of stylish figures depicting the "modern" woman. He worked in bronze, spelter and ceramic and also designed for the famous firms of Katzhutte, Goebel and Keramos.